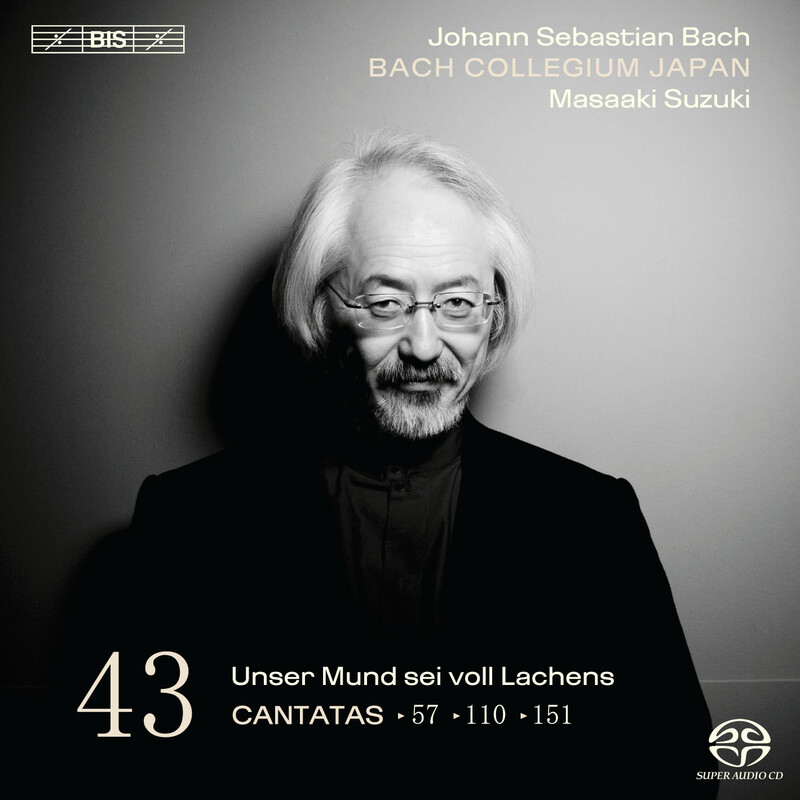 Three Christmas cantatas from 1725 make up the programme of the 43rd volume in Masaaki Suzuki’s and Bach Collegium Japan’s highly praised cycle of Bach’s cantatas. The first of these, BWV110, ‘Then was our mouth filled with laughter’, will be familiar to many, as its first movement uses the same musical material as the overture to Bach’s Fourth Orchestral Suite. With parts for trumpets and timpani it forms as suitably festive an opening to this disc as it must have been to the Christmas Day service in Leipzig almost 300 years ago. BWV57, ‘Blessed is the man’, is rather more introverted, cast in the form of a dialogue between Jesus (bass) and the soul (soprano) – a configuration that appears on numerous occasions in Bach’s cantatas. Christmas being the busiest time of the year for singers and musicians, Bach was probably anxious not to overtax his forces, and the final cantata is of almost chamber-like dimensions. Its opening number, a soprano aria which makes up for almost half of the work’s duration, is nevertheless widely considered to be one of the finest of Bach’s creations. A perennial favourite, this aria (‘Sweet consolation, my Jesus is coming’) was in fact one of the first vocal works by Bach to be recorded, as early as 1929. Here it is the young Czech soprano Hana Blažíková who takes centre stage for the first time in this series, with a wonderfully fresh interpretation. 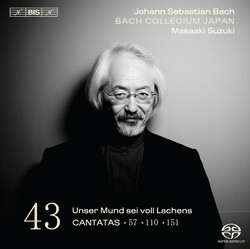 The remaining soloists, Robin Blaze, Gerd Türk and Peter Kooij, and Bach Collegium Japan under Masaaki Suzuki, continue in top form after the recent successes of Volumes 41 (‘Utterly absorbing from start to finish’, BBC Music Magazine) and 40 (‘With Suzuki you can hear Bach's heart beat’, International Record Review).